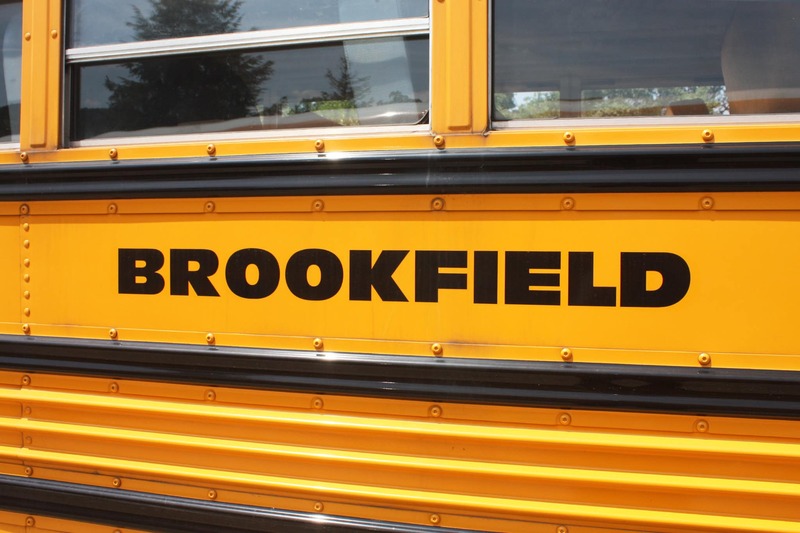 The school bus routes for the Brookfield Public/Private Schools are listed under the school that your student will be attending. You can find bus routes here. Residents are asked to share issues or concerns with their child’s bus stop location by calling All-Star Transportation at 203-775-1545. Parents should check their school and district websites for information about early dismissal days (for example: conferences and early release days). You can find a complete list of school bell schedules listed below. Bus schedules are subject to revisions that result from enrollment changes, transfers and address changes. Changes and/or additions will be posted to the school district’s website and residents are encouraged to frequently check the Brookfield Public Schools website. Please do not worry if a bus is late, especially at the start of a school year when it typically takes a few days for kindergarten children and new students to become accustomed to the bus routes and schedules. If, however, you have concerns about your bus being consistently late over a period of several days, please contact the Brookfield office at 203-775-1545. Brookfield High School – 9:15 a.m.
Center Elementary School – 10:40 a.m.
Huckleberry Hill Elementary School – 10:40 a.m.
Whisconier Middle School – 9:55 a.m.
Brookfield High School – 10:30 a.m.
Center Elementary School – 11:35 a.m.
Huckleberry Hill Elementary School – 11:35 a.m.
Whisconier Middle School – 11:00 a.m. In the morning, Henry Abbott Tech Students are picked up at their designated stop by All-Star Transportation on vans 33, 35 or 36. In the afternoon, Henry Abbott Tech students ride from HAT to their designated stops on the vans they took in the morning. Drop-offs at locations other than designated stops requires a signed note from home and the drop-off must be at an existing stop. If you have questions, please e-mail [email protected] or call All-Star Transportation at 203-775-1545. In the event the superintendent closes Brookfield schools due to unsafe road conditions, NO bus transportation will be available if Henry Abbott Tech decides to open or delay opening. Likewise, should Brookfield Schools go to a delayed opening due to questionable road conditions, scheduled bus service will be on a two-hour delay, even if Henry Abbott Tech opens on a regular schedule. In the morning, students are picked up at their designated stops by All-Star Transportation and brought to school. In the afternoons, students are picked up at Nonnewaug by All-Star Transportation and brought to their designated stops. A student cannot be dropped off at a different location if parents have not made appropriate arrangements. In the event the superintendent closes Brookfield schools due to unsafe road conditions, NO bus transportation will be available if Nonnewaug decides to open or have a delayed opening. Likewise, should Brookfield Schools go to a delayed opening due to questionable road conditions, scheduled bus service will be on a two-hour delay, even if Nonnewaug opens on a regular schedule. In the morning, Danbury Magnet students are picked up at the Brookfield Town Hall. It is the responsibility of parents or guardians to get their students to Town Hall 5-10 minutes prior to the bus arrives. The bus will be there at approximately 8:15 a.m. and leave promptly at 8:20 a.m.. For safety reasons the bus cannot stop for latecomers in the driveway. In the afternoon, Danbury Magnet Students ride back to the Brookfield Town Hall, arriving between 3:50 p.m. and 4 p.m. Drop-off times may vary due to traffic on I-84. Parents must be at Town Hall to meet their students. If no one is there, All-Star’s Brookfield office will make a phone call to the parent and the bus will continue on the run; it will stop back at the Town Hall at the end of the run. If no one is there to meet the child at that point, the child will be bought to the Brookfield police station. In the event the superintendent closes Brookfield schools due to unsafe road conditions, NO bus transportation will be available if Danbury Magnet school decides to open or delay opening. Likewise, should Brookfield Schools go to a delayed opening due to questionable road conditions, scheduled bus service will be on a two-hour delay, even if Danbury Magnet School opens on a regular schedule. Students who attend St. Joseph School will ride Center School buses, which will drop off / pick up at St Joseph. In the event the superintendent closes Brookfield schools due to unsafe road conditions, St. Joseph’s also will be closed. Likewise, should Brookfield schools go to a delayed opening due to questionable road conditions, St. Joseph also will operate on a delayed schedule. Students who attend Christian Life Academy will ride the Center School buses, which will drop off/pick up at Christian Life Academy. On days when Brookfield Public Schools are closed, students are required to get their own transportation to and from Christian Life Academy. In the event the superintendent closes Brookfield schools due to unsafe road conditions, Christian Life Academy will also be closed. Likewise, should Brookfield schools go to a delayed opening due to questionable road conditions, Christian Life Academy also will operate on a delayed schedule. The safety of students is the priority for All-Star Transportation. Parents’ cooperation with this procedure will help ensure and reinforce our concerns for safety for all students. Parents are required to be present at the bus stop. If parents are not able to be present at the bus stop, Center School must be notified prior to dismissal that a responsible person is authorized to receive the child off the bus. If no parent, authorized adult or older sibling is at the bus stop, children will be transported back to their home schools. Parents are highly recommended to be present at the bus stop, however, not required. If you normally are present at the stop and are not able to be present, then a call to All-Star Transportation is requested. Parents are not required to be present at the bus stop. If you normally are present at the stop and are not able to be present, then a call to All-Star Transportation is requested. If the student is going to a stop other than his/her regular stop, a “blue note” must be filled out and sent to the school for a pass to be issued. For students in grades 8 through 12, a note can be provided, but it must be signed by a school office staff member. All-Star’s goal is to never leave a young student at a stop without a parent or guardian present. If you have questions, please e-mail [email protected] or call All-Star Transportation at 203-775-1545. If a family has moved or if a student will be getting on/off at a stop different from the home address on a daily basis, a change form must be completed and submitted to the school. A stop change form is not intended to specify where someone wants a stop; it is solely notification that a student will not get on/off at the regularly scheduled stop, but rather at another regularly scheduled stop. No changes will be accepted for Center School students unless it is a permanent change and approved by the school. Parents wanting a different stop for their children or transportation to child care must put their requests in writing. Forms are available here. • Sit safely on the seat. • Use a soft voice. • Obey the bus driver. • Keep hands and feet to yourself. 1. Always think, think, think about safety. 2. Arrive early at the bus stop, so you won’t have to rush. 3. Look carefully before crossing roads and driveways. 4. Watch out for cars and trucks. BE ALERT. 5. At the stop, stay off the road. 6. Respect the property of others. 2. When you see the school bus coming. Line up without pushing, two big steps (10 feet) away from the curb. 3. Always wait for the bus to STOP and for the driver to nod his/her head before moving toward the bus. 4. Hold the handrail while you get on the bus. Go directly to your seat. 1. Sit down and stay seated (so you don’t fall down and get hurt). 2. Keep your feet in front of you so no one trips. 3. Keep all of your belongings and all of yourself safely inside the school bus. 4. Don’t eat or drink on the bus. Many children are allergic. 5. Don’t throw anything on the bus. 6. Be courteous and speak softly so the driver can do his/her job. 7. Keep aisles clear at all times. 8. Obey the bus driver. 1. Don’t stand until the bus has come to a complete stop. 2. Use the handrail while getting out of the bus. 3. If you have to cross the street, walk along the sidewalk ten steps past the front of the bus and wait for the driver. 4. Make sure the bus driver sees you. 5. Then, walk out as far as the bus is wide. 6. Stop, listen and look both ways. BE ALERT TO TRAFFIC. 7. Watch for the bus driver to nod his/her head indicating it is safe to cross the street. 8. Don’t stop or turn back for anything! 9. Never walk behind the bus. 10. Know the school bus danger zones. When kindergarten children are unloaded it is expected that a parent or designee will meet them at the stop. When an adult is not present, kindergarten and first grade children will be returned to school for immediate pickup.